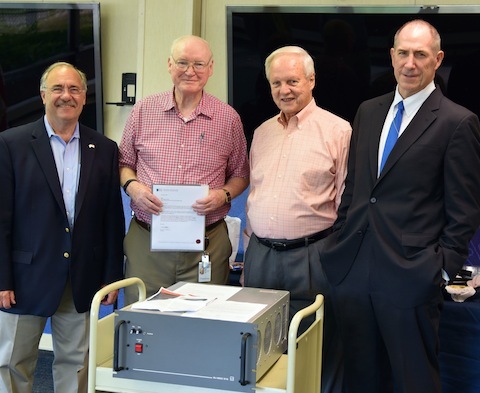 On 14 August the NCMF held a ceremony to recognize the acquisition of a wireless communications receiver for the National Cryptologic Museum from Leonardo DRS Airborne & Intelligence Systems Corporation. Mr. Charles Dexter, the Senior Technical Director for Electrical Engineering at DRS facilitated the donation of the WJ-8692 Receiver which was an invaluable asset to U.S. forces during the Iraq and Afghanistan conflicts where it was used to monitor enemy communications. The receiver will be added to the museum's collection of other cryptologic equipment which protected U.S. and Allied Forces during critical periods of combat.